The other day when the news emerged that forms of terrorism were emerging with sporadic attacks in the Jaffna peninsula, the first that that crossed my mind was Sri Lanka which is having a debt of almost 56 billion dollars cannot take another hit to the economy. The Ava Group is currently an underground criminal gang that has been into thefts, crimes and kidnapping people for ransom, which was similar to the initial incidents that was reported way back in 1987 and it ballooned out to be the LTTE. A person called Kumaresaratnam Vinothan believed to be around 21 years from Inuvil, locally known as ‘Ava,’ is apparently the leader of the gang operating in the district. The group when arrested recently had nine motorcycles, two hand grenades, 12 swords, knuckles and a few other lethal weapons. The members of the group are between the ages of 17 to 30 years and apparently there are three groups under the leader Ava. There is a girl who is also a group leader on the prowl and the police is on the search. If one tracks back on the LTTE, in 1983 Prabhakaran apparently had only 12 cadres with just 20 shotguns but by 2006 the LTTE had aircrafts, tanks, submarines, missiles and brigade of more than 20,000 that is estimated to have wiped out $200 billion off the Sri Lankan economy. This tells us very clearly that one cannot just take a sporadic attack like what Sri Lanka saw last week in Jaffna lightly. It needs to be taken seriously and addressed with focus. The GDP in the first quarter of 2017 grew by 3.8% due to the severe drought conditions that impacted four provinces but the worrying issue is that the trade deficit expanding to $ 4,200 from the $ 3,415 of the corresponding period last year does not augur well for the economic health given the strong governance at play. Tourist arrivals on a cumulative basis is up 4.8% in the first five months but the decline of 2.5% experienced in May is not healthy, which may be due to the outbreak of dengue which was badly mismanaged by the economy. Worker remittances further declining by 3.7% versus last year is sure denting the health of the Sri Lankan economy even though there are valid reasons for this trend. On the overall financial health the net outflow of $250 million as at end May 2017 clearly indicates the challenge at hand. In this backdrop servicing the debt mountain sure indicates an economy in a catch 22 situation. This is why the Hambantota Port deal had to be signed at any cost by the Sri Lankan Government. Sri Lanka will have to accept that unless the PPP approach of working is not done, Sri Lanka will not be able to pull the economy out of the debt cycle that it is up against, estimated at around 56 billion dollars. Apart from the five billion dollars that was spent to rebuild the Northern Province post the war, if we compute the taxes that had been levied on the A9 road by the LTTE when the private sector transported goods from the south to the north during the years the LTTE was in control of the Wanni, it is said to have cost the country almost another billion dollars. A classic case in point is the virtual test market that happened during the peace dividend between the periods of 2002-2004. During the two years the GDP in the Northern Province quadrupled to 12.6% while in the Eastern Province it doubled to 10.1%, which is the pent-up demand that existed in this part of the country for over 20 years of war which is the impact of terrorism on a country. An important point to note is that in 2003/2004 the socio economic indicators reported that the access to pipe-borne water in the Northern Province was only 3.1% whilst in the east it registers 17.4%. The national average stood at a high 30.8%. The non-accessibility to toilets which is a stronger indicator of the quality of life registered in the north at 14.4% and the east, a staggering 29.2% whilst the national average stood at a respectable 5.6%, which again is a result of economic terrorism that has been at play for 24 years. As per the labour force survey of 2002, the labour force participation is at 50.3% nationally, whilst in the north it had dropped to 33.8% and in the east to 40.3%, which can directly be reflective of an economy under stress. This clearly points out to the fact that if Sri Lanka does not control the Ava factor we can once again go down to the historic challenges that we once was up against. In 1983 Sri Lanka enjoyed 337,530 visitor arrivals whilst a country like Cambodia had around 200,000 tourists at that time. By 2009, Cambodia enjoyed over two million tourist arrivals whilst Sri Lanka was at low ebb of 0.5 million arrivals with a revenue of Rs. 43 billion. If terrorism was not in existence Sri Lanka should have recorded around 1.8 million tourists at a very conservative estimate whilst earnings should have touched $ 2 billion. This on a GDP perspective would have been almost 8% to the country. The Strategic Foresight Group which has researched this topic on the theme ‘Cost of the war in Sri Lanka’ has estimated through a simple extrapolation that the loss of revenue due to the curtailment of FDIs into the country is around Rs. 3,000 billion which is a clear indication of the challenges Sri Lanka will be up against unless groups likes Ava are curtailed early in the process. Research reveals that around 400 billion was spent on the war in the period 2007-2009 and divert it to the investment that could have been made on Research and Development (R&D), the numbers will stack up to almost 7% of GDP. This would beat the 4% GDP spend that economic tigers like South Korea invested to build power brands like Samsung. This gives us an idea of the opportunity cost that economic terrorism has had in making Sri Lanka an innovation hub for South Asia. A point that can contribute to the concept of economic terrorism in the apparel sector is as follows. If we analyse the Revealed Comparative Advantage (RCA) score for Sri Lanka we see that Sri Lanka scores a high of 16.7 on being a supplier of clothes but scores a low 1.05 on being a textile supplier. 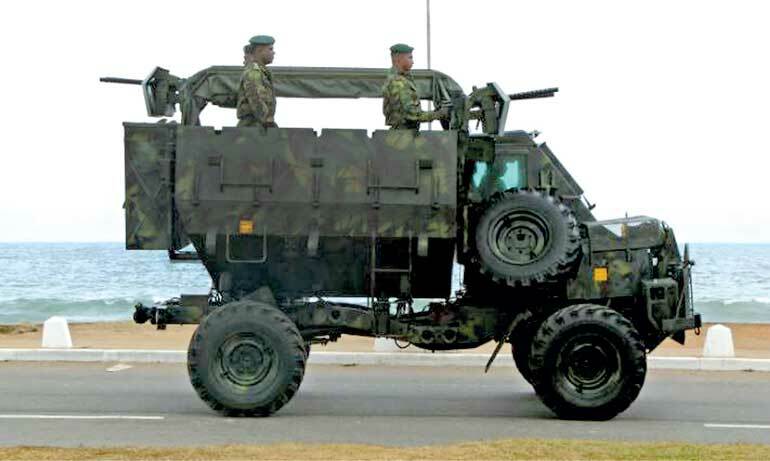 This can be attributed to the non-strategic direction in which this industry has been developed by the State in the 20 years of war due its focus on containing the LTTE. This also accounts for economic terrorism that existed in the face of Sri Lanka that diverted the overall strategic direction that Sri Lanka could have enjoyed if not for the war. Hence we see the impact of terrorism in a country and in numbers the total can exceed 200 billion dollars. To give a better idea this value is almost three times Sri Lanka’s current GDP value so something that that policymakers and the world must understand is that groups like Ava must never be allowed to raise their head. Simply putting it, Sri Lanka cannot survive another terrorism challenge.